The Japanese ships carrying an estimated 100,000 troops arrived on the shore of the Bataan Peninsula in December 1941, and with the ships came the invasion of the Philippines, which had been occupied by the U.S. up until then. Sergeant Glenn Frazier of the U.S. Army looked at the men to his left and right, as they all acknowledged the fact that they were now fighting a war, which would require him to kill, something he had not yet been able to reconcile with his upbringing in a Christian family – the same values that almost prevented him from entering the military in the first place. As patriotism in America ran wild last year while the war raged in Europe, 16-year-old Glenn Frazier worked on a farm in Fort Deposit, Alabama, making $4 a month. He grew much of his own food, and most of his clothes were hand-me-downs. Jobs were hard to come by. 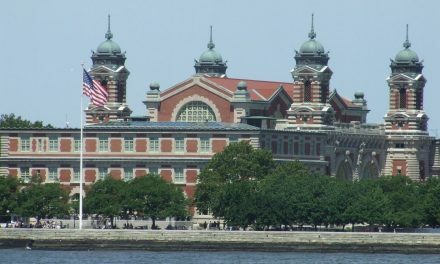 That, combined with American patriotism, prompted Frazier and many other young men to look toward joining the military. The problem was his age. He asked his parents to sign a form indicating that he was 17, not 16 years old, which would mean that all he needed was a parent’s signature to confirm his ability to enroll. Due to the Christian values they held dear, they refused to lie for him. Frazier was fed up. On top of his frustration at being too young, he learned that the girl he had his eye on for years was meeting another boy’s family – a signal that they would become engaged soon. While she did not want to marry this boy, her family had other plans for her. Frazier and the girl he was about to lose stayed out until 3 a.m. for one more night before her mother told him never to come back. The next morning, he hid and watched his girlfriend board a train to see her new fiancé. Frazier got on his Harley-Davidson motorcycle, rode to Montgomery and, after a run-in at a local bar, arrived at a military recruiting office, where he lied about his age to the sergeant, claiming to have just turned 21 that day. He was on his way to the Philippines 90 minutes later. The American troops under siege did not know what to expect next, according to Frazier. Tokyo Rose, a female Japanese radio personality who aims to dampen the morale of American soldiers in the Pacific, taunted them, while The Voice of America, an American radio news source, provided other information. “We would hear Tokyo Rose telling us no reinforcements are on their way, but we would hear The Voice of America…telling us that there were reinforcements coming,” Frazier said. As the fighting began, one of Frazier’s first kills was to save his own life. As he tried to round up his men, a Japanese soldier jumped out of the bushes, lunging at Frazier with a bayonet, and effectively removing the weapon Frazier had strapped around his body. In a moment of extreme self-defense, Frazier stabbed the Japanese soldier with his hunting knife so deeply right below his ribcage that he slightly injured himself in the process. Unsure of whether he had ended the soldier’s life or not, he decided to throw him 500 feet down, off a nearby cliff. After the initial invasion Frazier and the rest of the 31st Infantry Division of the Army National Guard held on for two more months, fighting the Japanese troops off. Then the fateful day came. 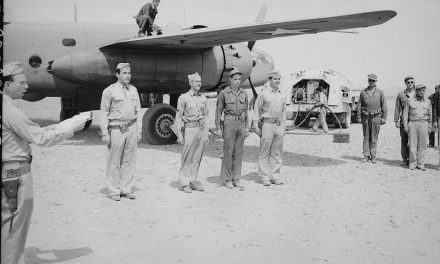 Frazier and the rest of the men in his division heard tanks approaching and reported to Marviles air strip. A tank came up behind them, followed by Japanese soldiers and other prisoners of war. 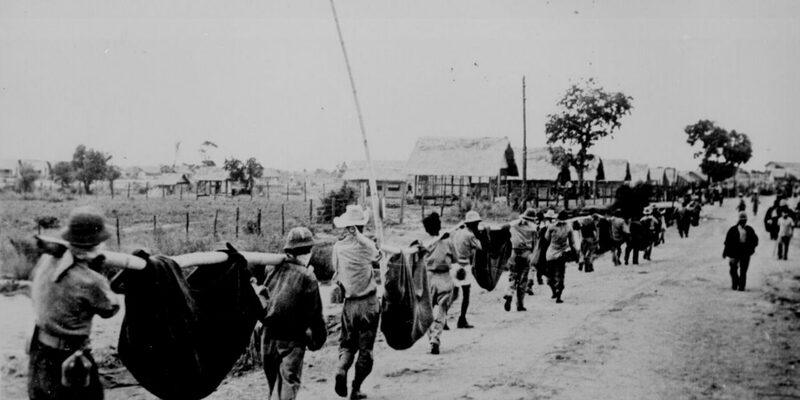 The Japanese troops lined up the American troops and took all of the belongings they wanted. It was then that the American troops were ordered to march. They marched through the night into the morning, defeat heavy on their shoulders. 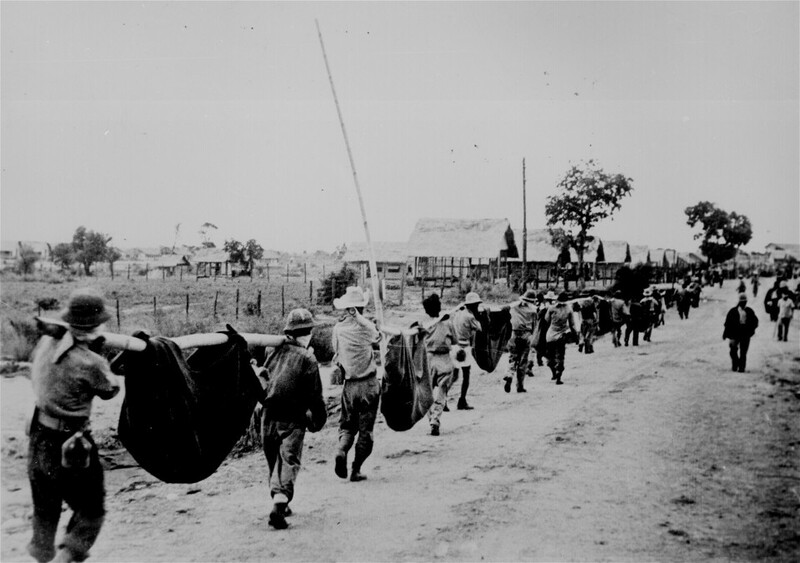 U.S. prisoners of war carry the bodies of comrades who perished on a brutal forced march through the Bataan peninsula, May 1942. From National Archives. The men with crushed spirits continued to march. The Japanese flag now waved on the pole where the American flag had flown every day up until that point. Frazier described the moment that he saw the Japanese flag as “sinking times” for him. 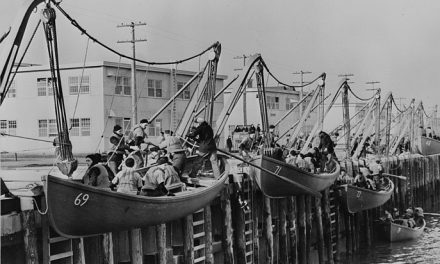 Frazier said that the Japanese troops’ intention was to take all of Asia and kill all of the Americans they could find, as Adolf Hitler and the Nazis were doing to the Jews in Germany. This meant taking the American-held Philippines while they had the chance. 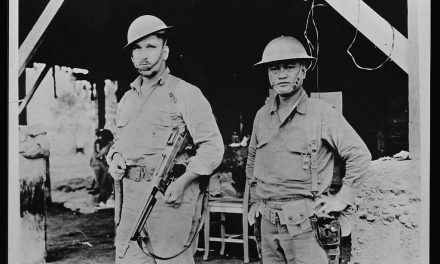 Frazier’s fate, and that of the other U.S. and Filipino soldiers stationed at Bataan, remains unknown at this time. PreviousTeachers making great sacrifices, but are they being asked to do too much?